Our Training Professor Video Series is an immersive experience that gets results. Fast track your design and editing process by learning V31’s New CAD features. Take your part programming to the next level by fully understanding all the steps and options of BobCAD’s Job Tree, machining features and toolpath. Gain the confidence to tackle advanced programming situations using features like gouge checking, adaptive toolpath & the toolpath editor. 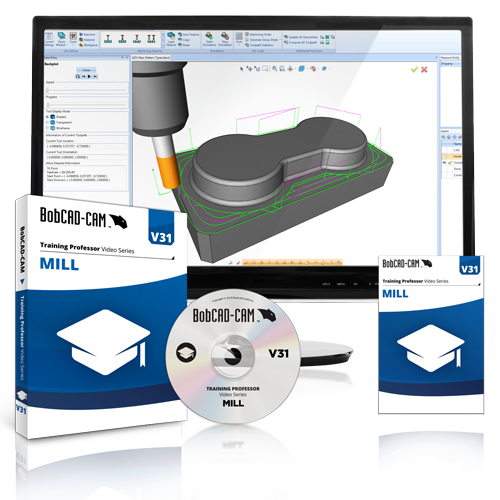 Whether you’re learning mill programming for the first time or simply looking to sharpen your skills, this training set will equip you with the knowledge and confidence needed to machine better parts, faster and easier.